The full and final version of macOS High Sierra 10.13.5 is now available to download. Here’s everything that is new in this release. Those of you out there with a Mac will be pleased to learn that macOS High Sierra 10.13.5 is now available to download. It’s available as an over the air update from the Mac App Store and you the complete option of installing it from scratch as well if you like. But since this is not a big update by any means therefore it is best to save yourself some trouble and opt for the over the air installation method which only involves the Mac App Store. Be sure to backup your data if you are going ahead otherwise. In order to install macOS High Sierra 10.13.5 from the Mac App Store, first of all make sure you are connected to the internet. Now launch the Mac App Store, go to the Updates tab, wait for the page to refresh a little then click on the Update button next to the 10.13.5 update. The entire update will take some time to download and install therefore be patient throughout the process. Also, since the completion of the update is dependent on a restart, therefore save all your work ahead of time. Compared to the first release of macOS High Sierra, this one feels no different in terms of performance. But needless to say that you shouldn’t skip out on this update as it will improve the overall stability of your Mac. This means that you’ll notice less app crashes and hopefully a smoother day-to-day experience. We’re very glad to see the inclusion of Messages in iCloud in this release since it makes managing conversations far more easier. Delete one thread on your iPhone or iPad and it will be gone from your desktop as well, the way it should be. But the only downside of this is that it requires a lot of iCloud storage, something which is absolutely necessary if you are looking to manage a lot of threads. 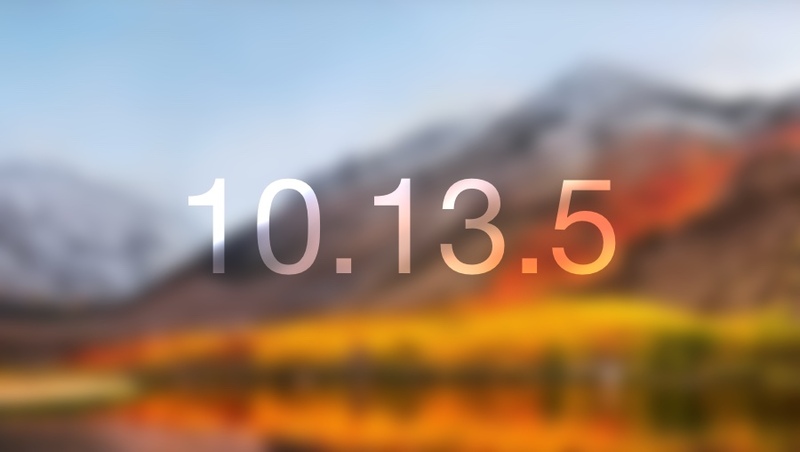 Do share your experience with us in the comments section below what you think about High Sierra 10.13.5.